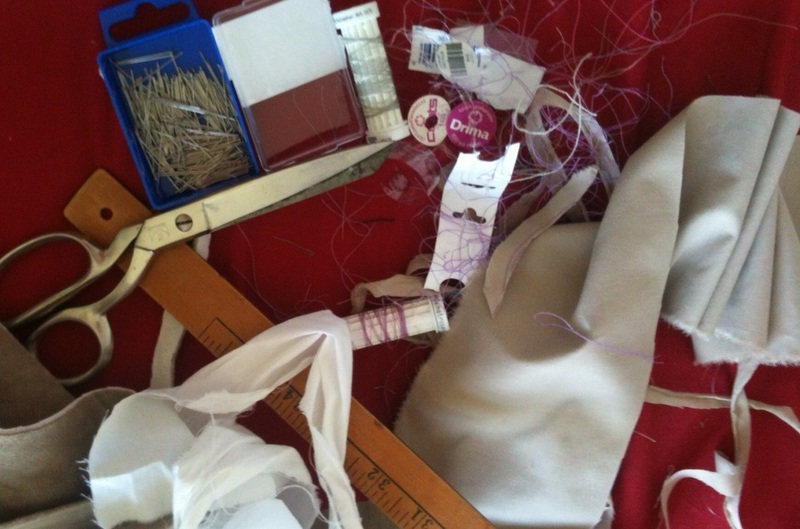 I have been busy recently with summer projects – upholstering and other activities that I hesitate to start when my husband is hanging around constantly going about his business normally in his own house. Nor does he like to watch me scatter fabric scraps throughout the house, drop pins where they will impale themselves in someone’s foot (and it never seems to be my foot), or come home with different fabric samples every day for consideration. I still have some major work to do, since he’ll be home in a couple of days after a month visiting his parents. So blogging has taken a back seat. Except for this brief update. The only reason I have time now is that I’ve taken the day off work in order to finish re-upholstering the sofa. That has been a headache, but I think I’m on the home stretch. I will write about it and post before and after pictures when I finish. 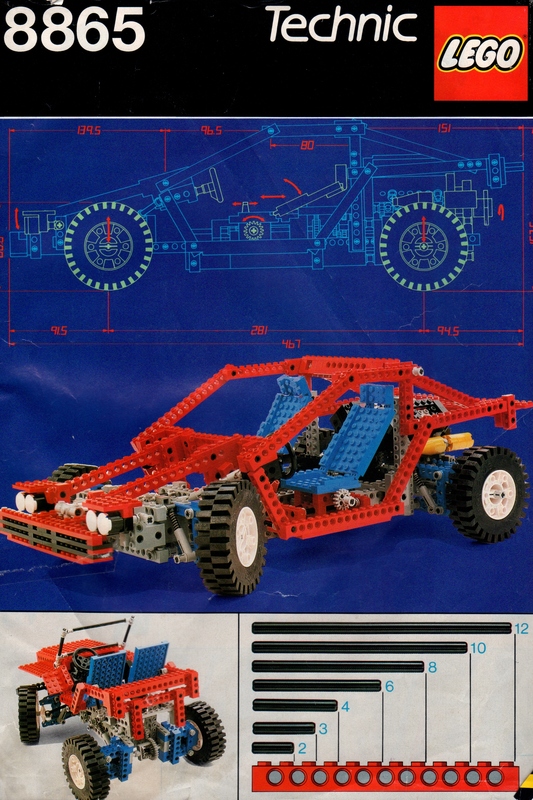 Meanwhile here is a totally different job that I did a couple of weeks ago…One of my recent clean-up and household organization projects has been to dismantle a Lego car (Technic 8865) that has sat in a box assembled for 10 or 15 years in our house. It was about 50 cm (20 inches) long, assembled, and I wanted to put it in a smaller box to satisfy my small-box-mind. There are no instructions for how to take it apart, and it was VERY well put together, so I had to use a lot of brute force. My poor little fingers are sore. I suppose I could have taken the instructions and worked backwards but that would have made my brain sore instead. Now I KNOW the value and learning that comes from going through the exercise of putting together a kit like this, but I had no control over that little thought that came unbidden into my mind. Only for the mechanical minded among you, here is a YouTube video showing some of the nifty features of this vehicle, and here is a Legocarblog with a sentimental review of it. Apparently it had a 4 cylinder reciprocating engine in a V configuration, a 3 speed transmission, a working rear differential, working front and rear double wishbone suspension, rack and pinion steering, retractable headlights, and adjustable and reclining seats. 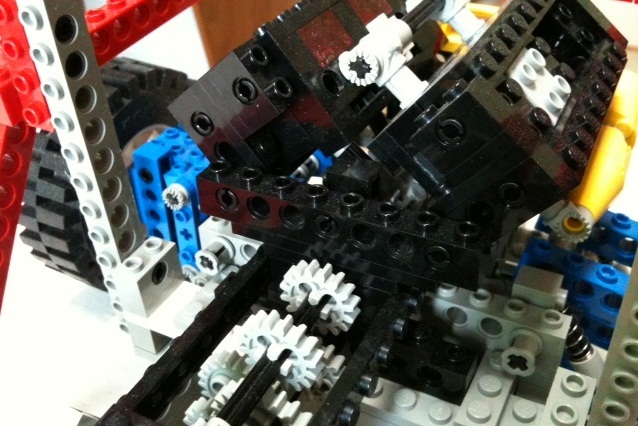 Our son went on to become an automotive engineer, so maybe this kit played a part. Down in the basement we have about 500 pounds of Meccano parts that my father collected. At least it was already neatly organized when it came to reside here. My family says “Keep it. Someday I want it!” It is so heavy that it is hard to pass around the family. Clean mess or Dusty order: Incompatible or complementary? ← The facts are in, and does it matter? Oh Dear. I do hope said automotive-engineer-son was consulted before the de-construction process was begun. Families have exploded for less… Looking forward to seeing the sofa project B4 and after pics. Besides, if he wants a project like putting a vehicle back together, we have his first full-sized real car sitting in the garage waiting to be re-assembled. And I was not involved in ITS deconstruction.